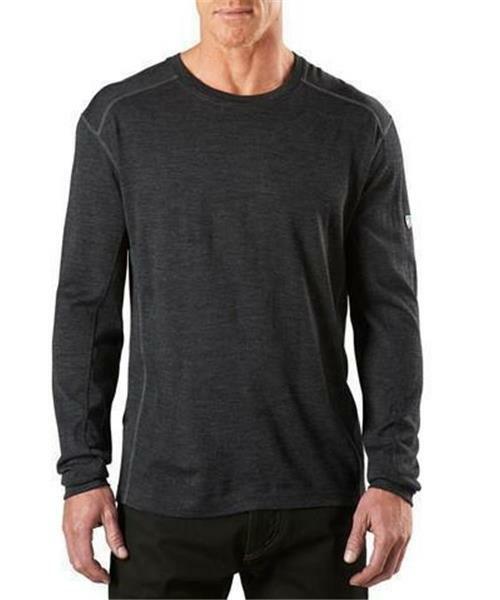 The Kuhl Skar™ Crew Shirt makes an indelible impression with Kuhl's 3-D articulated design and performance washable merino wool fabric. Merino wool is the superstar wool and perfect for sport and travel. Merino wool's phenomenal temperature regulating properties are matched with its odor fighting abilities making it perfect for long distance trips. Travel light and move smooth with the 18.5 merino wool 3-D articulated pattern on this crew shirt. Skar Crew - Mens is rated 5.0 out of 5 by 1. Rated 5 out of 5 by Pfligeritout from Amazing material Not just my skar but all my kuhl products have been the best quality products I’ve ever owned! Very happy with my stuff!